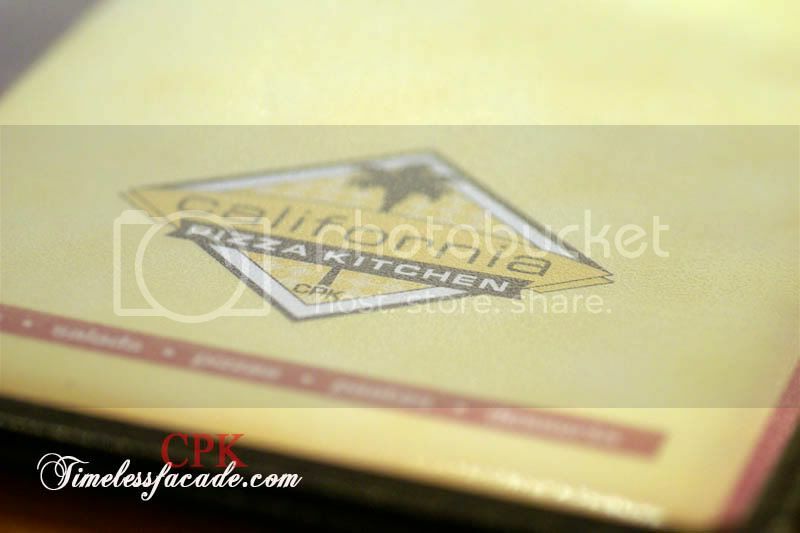 Had a craving for American style thick crust pizzas so ventured to California Pizza Kitchen's (CPK) sole Singapore outlet at Orchard. 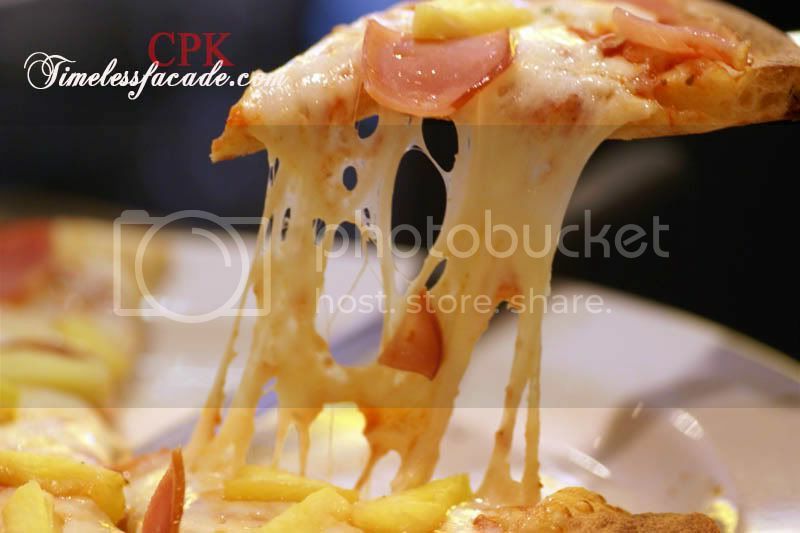 CPK is actually an international chain with 235 outlets worldwide and is well known for its extensive menu which features everything from creative pizzas to pastas, sandwiches and salads. 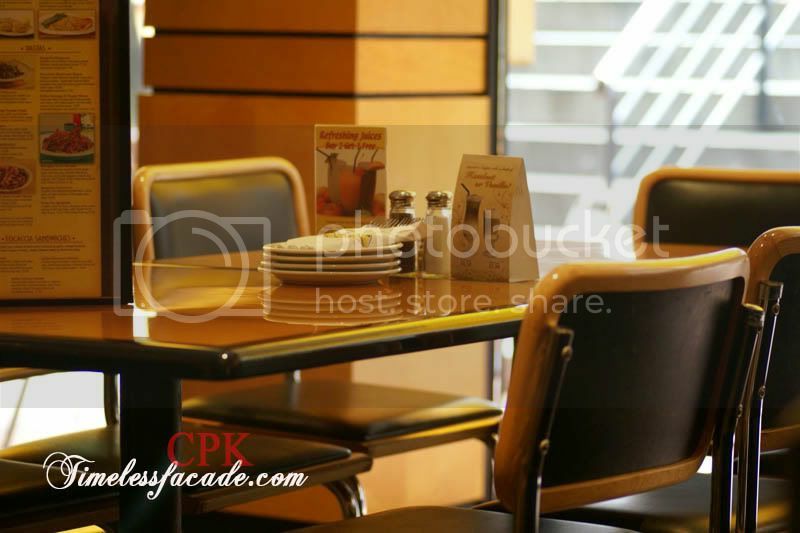 Occupying two levels at Forum the Shopping Mall, CPK offers air conditioned dining on both levels and al fresco dining on the lower level as well. 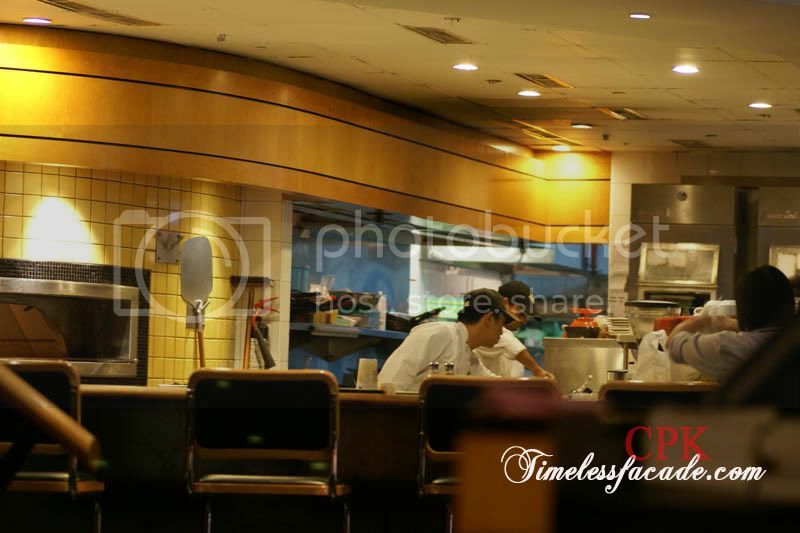 Tables are spaced comfortably apart and if you sit downstairs, you can get a partial view of the kitchen and the counter where the pizzas are placed to be served. All in all a family style cosy interior with the option of booth seats if you so wish. 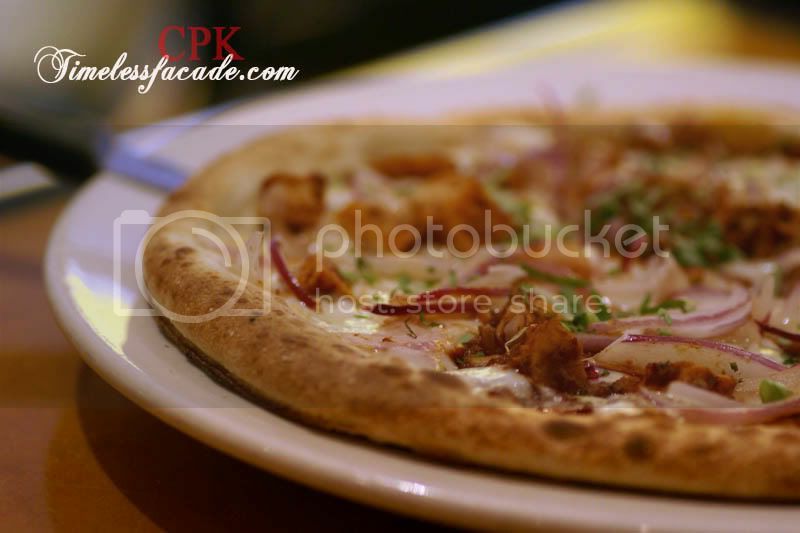 Branded as a hot favourite amongst customers in the US, the BBQ Chicken pizza has withstood the test of time by being on the menu since the first CPK restaurant opened up in Beverly Hills in 1985. Sizing in at 10 inches and 6 slices, the BBQ chicken was relatively heavy on the tastebuds with BBQ chicken breast cubes (duh!) and onions. Cheese was also plentiful and complemented the mild tomato base which covered the chewy and hearty pizza dough. But it could probably do with alot more ingredients for the price. 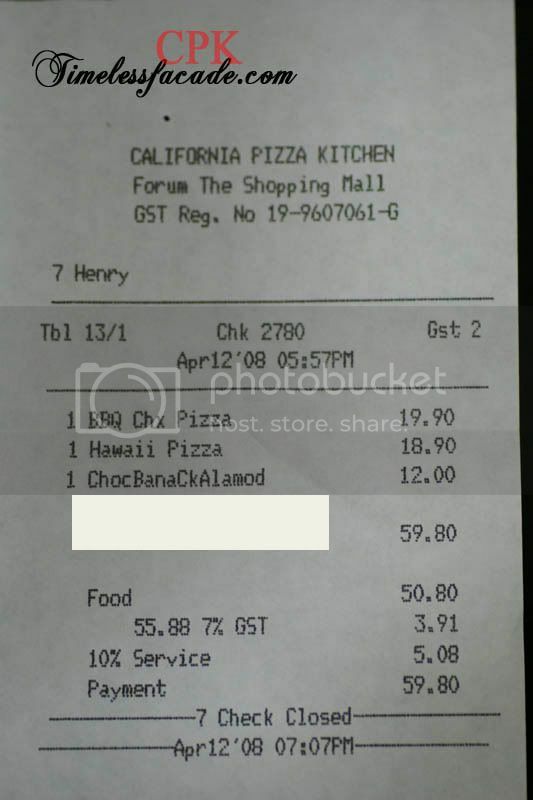 Heck, pizza hut gives more for roughly the same price! The Hawaiian was much much lighter on the palate then the BBQ chicken, which isn't a bad thing really. 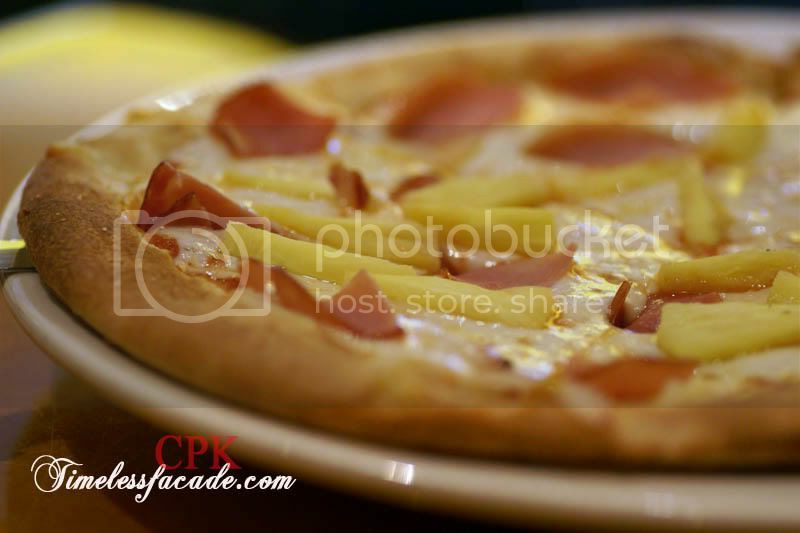 Fresh pineapples and bacon coupled with a generous layer of gooey cheese and a moderately thick and chewy crust with lots of bite made for an excellent pizza. But as with the BBQ chicken pizza, the amount of ingredients could have increased. This is seriously one decadent dessert. 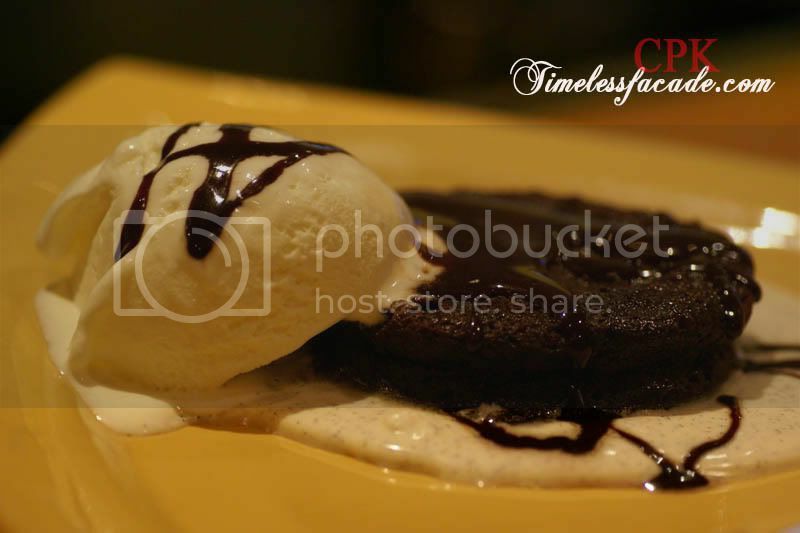 Extremely chocolaty and rich from the drizzled triple thick hot fudge, the cake was a tad soft but went very well with the smooth vanilla ice cream. Definitely not recommended for people who can't tolerate high levels of sugar in every mouthful. And at $12 a pop, its not recommended for budget/value for money seekers as well. I like the food and the place, I can accept the relatively higher price ($60 for 2 pax) but I hate the location (and parking charges as well). 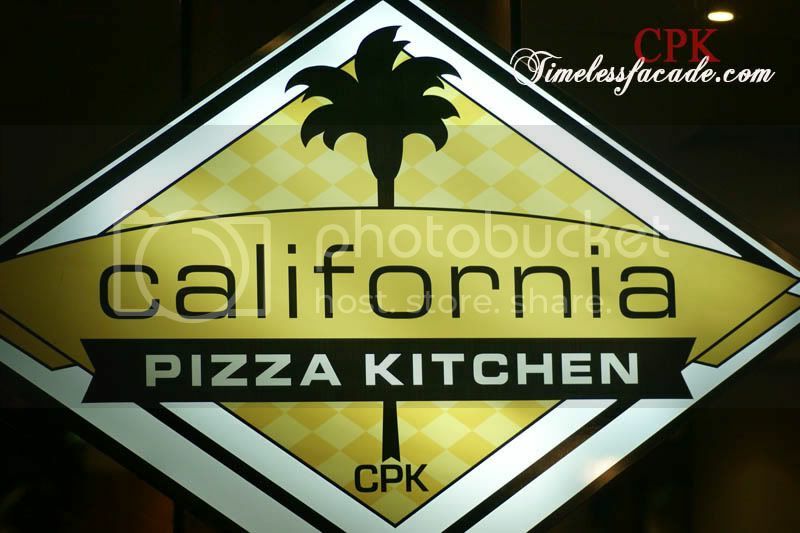 Unless CPK can move to the heartlands or I'm around the area, I'll probably have to stick to Canadian Pizza or Pizza Hut for my frequent pizza urges. Looks like a great place to try out!